Kids love getting involved in gift giving especially for mother's and father's day. I am the first to admit it is sometimes hard to find cute homemade gift ideas that are actually something my husband would want! 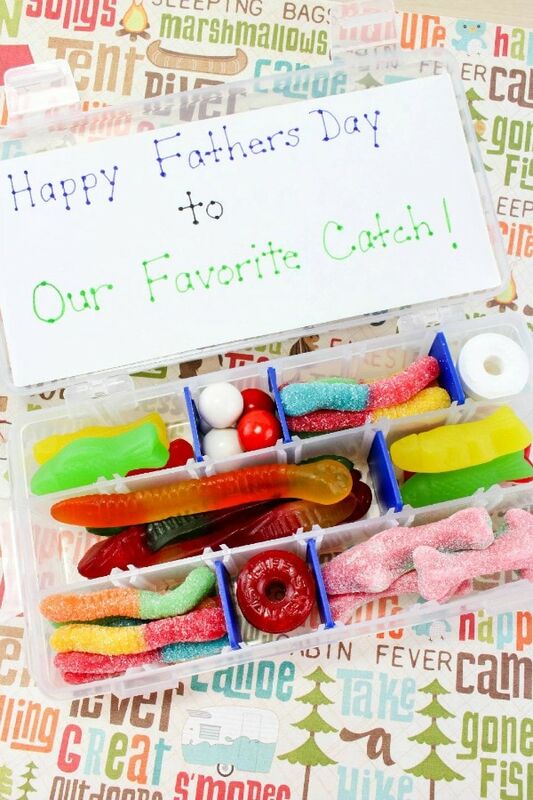 Luckily this Candy Tackle Box Gift for Dad is the perfect solution for this Father's Day! 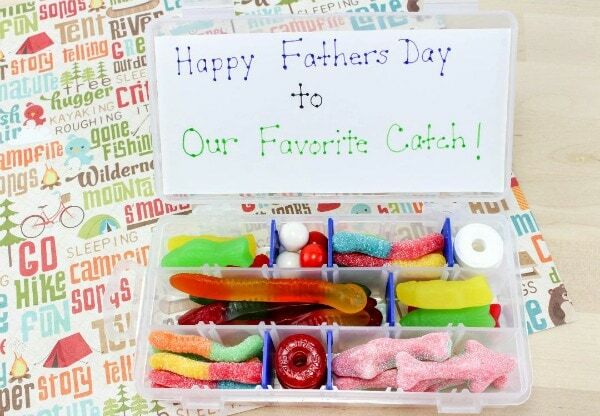 The dad in your life doesn't have to be a fisherman to enjoy getting this candy tackle box. I mean…it is full of candy, LOL. That will make most men happy! I love that this is an easy gift to put together and kids of almost any age can help do it. I was excited to find the plastic tackle box on Amazon for only a few dollars! 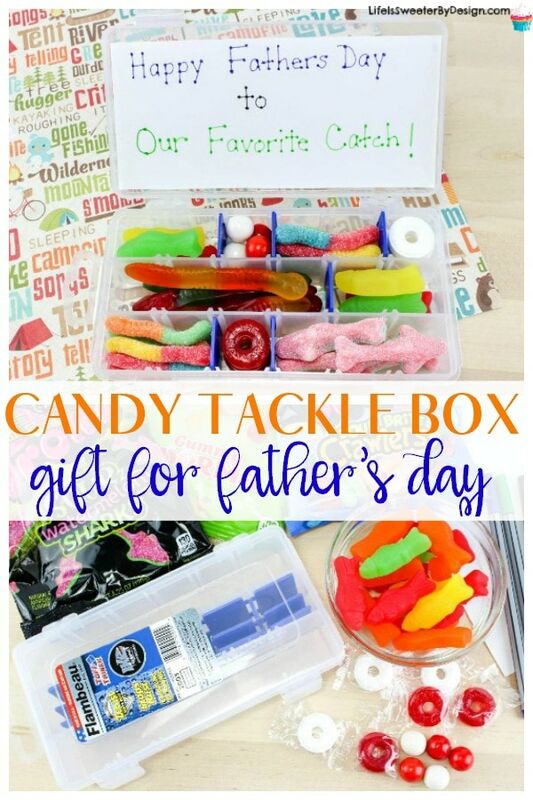 It would be easy to make multiple candy tackle boxes with the supplies to give all the dads in your life! Use the dividers to make separate compartments in the tackle box. Make them different sizes to fit the different size candy. 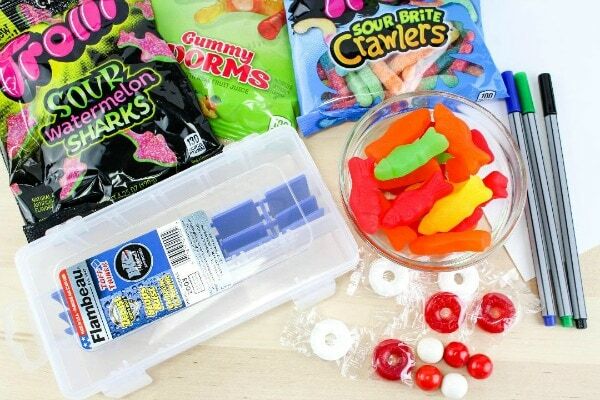 Fill each compartment with the different candies so it looks like a real tackle in a box. Cut the white cardstock to fit on the inside lid of the tackle box. 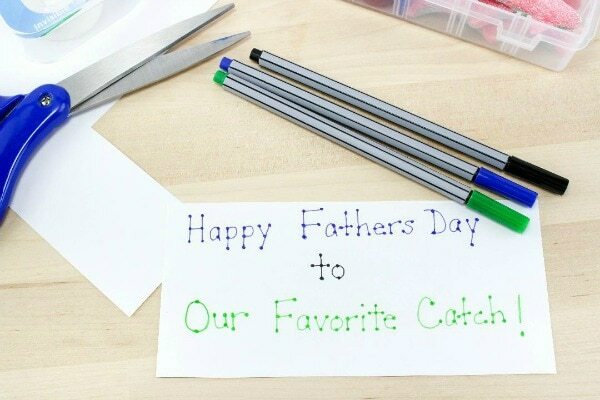 Use the markers to write “Happy Father’s Day to our Favorite Catch”. Glue or tape the cardstock to the inside lid of the tackle box. Optional step: you can decorate the outside of the box as well. I love how simple this project is…but it turns out SO cute no one will realize that it only took minutes to make. If you wanted to do a whole fishing theme this would be great to pair with other fishing supplies for a gift basket from the whole family. What will you do for the fisherman in your life this year? Be sure to check out another fun Dad's Day idea!